On average, wedding guest numbers are decreasing and a lovely trend in micro or tiny weddings is on the rise; with couples wishing to keep things small, personal and more meaningful. 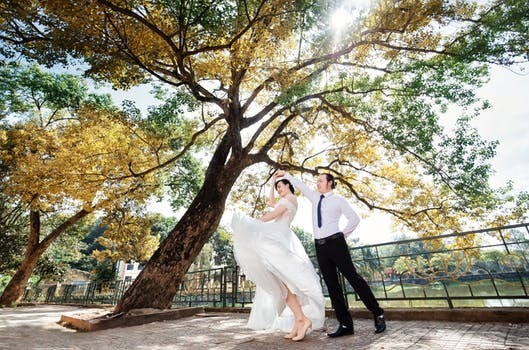 Not always in the extreme of eloping but a step away from traditions and expectations. Making the day a wonderful experience for everyone and good value for money. Tiny weddings could range from having a dinner party in a private room, a picnic in a park, a weekend sleepover in a stately home or a destination wedding for your close friends and family. Bigger doesn’t always have to be better. 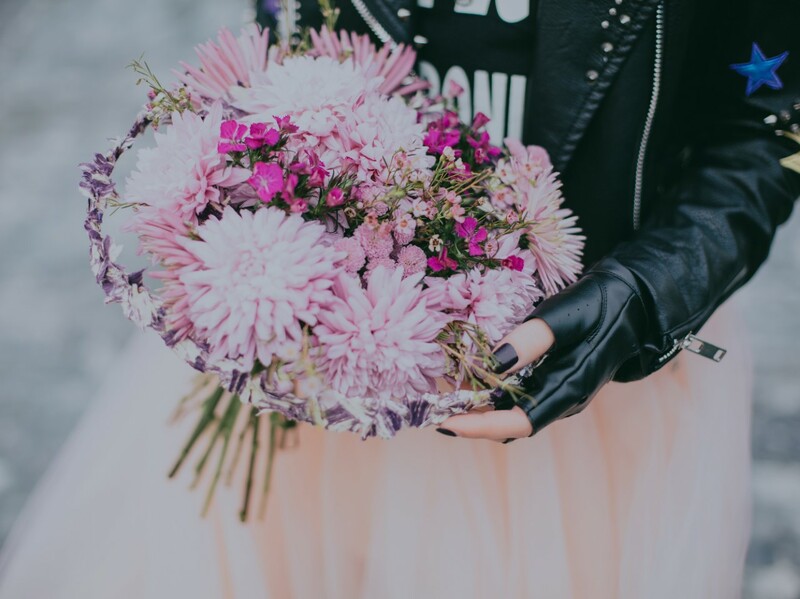 Here are 5 reasons why tiny weddings rock from Carly Straughan (from Epic Elopement) who, along with Claire Ady (Wed in Central Park), host Tiny Weddings – an exciting new style of wedding fair for small, intimate weddings and elopements. 1. You get to spend the whole day with your favourite person. 2. You will avoid the most common planning nightmares. The hard parts of planning are almost always not related to making your marriage happen. The seating plan, the choice of dining options or what sort of music to play to please everyone during a 4 hour reception are avoided when you have a small group of close family and friends to entertain. Think of your celebrations as less of an operational ordeal and more of a larger dinner party and suddenly it all makes sense. 3. You can spend your money more wisely. Having a small wedding or elopement may not even mean spending less than you would have spent on a big wedding. The difference is that you get to spend your money on the things that are important to you as a couple. Try making a list of things that you absolutely need to make your day work for you and then set your budget against that. If the dinner is a big part of your day then spend your budget on great food. Feeding 30 people caviar and champagne is much more affordable than serving 150 people a chicken dinner. 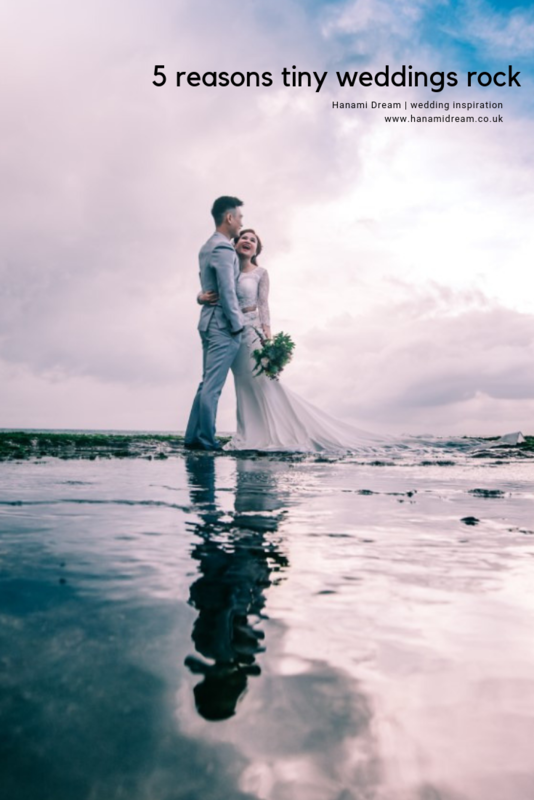 If travel is your thing, a smaller wedding day can allow you to blow the budget on a mega honeymoon or even allow you to take your wedding overseas with a small party all expenses paid. 4. You won’t explain your quirks to anyone. It’s much easier to share your plans with a smaller party and explain your choices to those who are invested in you as a couple. If you want the whole wedding party to wear a certain colour, travel to a remote location or do something seemingly random that brings you joy, it’s much easier to get buy in when you’re inviting only close family and friends. It’s going to be more difficult to explain your reasoning behind your choices if you have all your second cousins and great aunts chiming in. Spend your time and effort on the people and things that bring you joy, not arguing about chair covers with Sharon from work. 5. You’ll find suppliers who absolutely love their jobs. If you’re looking to work with passionate individuals who will put as much effort into your wedding day as you do, then having an intimate wedding is more likely to help you find them. Larger suppliers need you to fulfil minimum orders, cover overheads for their venues and feed 100+ people to pay their bills. Small vendors usually have lower overheads, less staff costs and would be delighted to hear about a no stress wedding with under 50 guests. Tiny Weddings is a joint venture between Carly Straughan (from Epic Elopement) and Claire Ady (Wed in Central Park). Having both had intimate weddings and working in the industry, exhibited and visited wedding fairs for years, Claire and Carly realised there was a space in the market for a fair dedicated to those who traditionally are ignored by the big wedding industry. Tiny Weddings Fair is the anti-dote to the mega fair that has grown up in recent years, bringing together vendors who specialise in intimate ceremonies and elopements around the world, whilst also hosting talks from experts in their field who can help couples find their own Tiny Wedding inspiration. Get tickets for the next Tiny Weddings Fair on Sunday 30 September 2018, 10am-4pm at Wycombe Swan Theatre, High Wycombe HP11 2XE. Claire is a wedding planner, specialising in elopements and small destination weddings in Central Park, New York, for couples from all over the world. She has been doing this for over six years and has planned almost two hundred and fifty weddings so far. All of her weddings have had under fifty guests and most have between five and fifteen guests. She knows the tiny wedding market well. She knows what drives a couple to choose a tiny wedding and what values and priorities are popular for the couples that take this route. 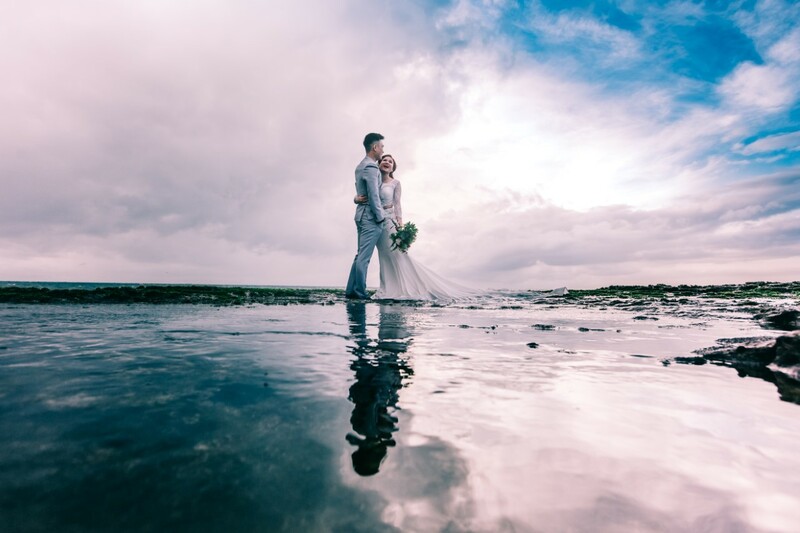 Carly has been blogging about elopements since her own elopement in 2015. Beginning her career in wedding journalism, Carly moved into wedding planning and events management but always knew it wasn’t her scene. Carly has planned and executed weddings, fairs and events for some of the UK’s most recognisable venues and attractions and continues to work with events venues day to day as a consultant. When her own marriage was imminent she quickly realised there wasn’t much choice for those who wanted a great wedding without a huge guest list, Carly began seeking out suppliers of tiny wedding and elopements around the world and the rest is history.